Why You Should Buy Solar Patio Umbrellas? Many homeowners like to enjoy their time outdoors, especially in the backyard. It would be a great thing if we are able to take advantage of the clear, warm weather with family and friends. 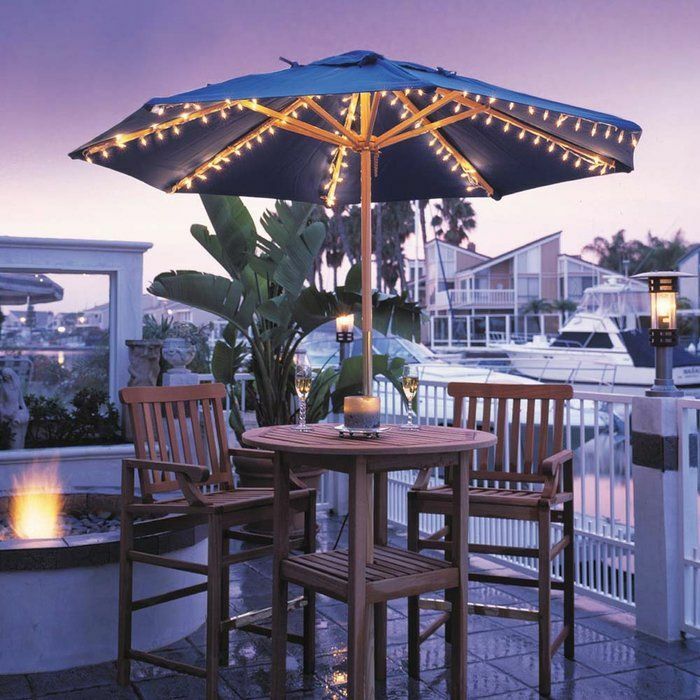 Patio umbrellas are among things that we can choose to improve the backyards. There are many patio umbrellas that we can choose and one particular model that we should consider is the solar umbrella. This type of patio umbrella should be able to become quite functional by delivering constant electricity juice for any kind of purpose. Sun won’t go away anytime soon and it should be able to provide us with free energy, although not at high rate. Outdoor solar umbrellas also often gave good designs and they may add to the charm of our outdoor space. The patio could also become an outdoor workplace, when we want to enjoy the summer atmosphere, instead of being stuck inside the work room. The solar patio umbrella should provide enough electricity to charge our tablets and laptops, allowing us to have hours of work time in the backyard. When choosing a patio umbrella, we should make sure that it has durable polyester canopy and strong aluminium pole. They may also be available in different colors that could match the paint of our fences and outdoor walls. The patio umbrella should be quite easy to use and it many cases, they have an outlet where we can plug in the charger set for our gadgets. The solar patio umbrella may also have an integrated inverter that allows us to keep the power up for up to 4 hours long. It means that the electricity will still be stored for a few hours after the sun sets. It is obvious that due to the added functionality, the solar patio umbrella can be somewhat more expensive than regular umbrellas. However, solar patio can still a smart buy and something that we should consider if we will be able to become more productive while enjoying ourselves. We should be able to get our money’s worth if we can work more and solar patio umbrella will expand our workplace area at our home. It is important to make sure that the solar patio umbrella is waterproofed, so the internal solar panel system components won’t be damaged when there’s a sudden heavy rain. Also, the patio umbrella should be relatively portable, so we will be able to take it on the go for camping trips and beach picnic. It would be better if we are able to sell our old umbrella in the garage sale, so we will be able to gather enough money to purchase new ones. When improving our homes, we don’t always need to focus on more expensive projects. Solar patio umbrellas with their nice designs can also become amazing additions to our home to add both visual appeal and functionality. You should try to add anything that can improve the overall value of your house and comfort.